As a teenager, Maz fell in love with the folk songwriters of the 1960s; Bob Dylan, Joni Mitchell, Nick Drake, Neil Young. These influences, along with her literary leanings, make ‘This Willowed Light’ such an intriguing work. She effortlessly blends traditional material such as the Child Ballad ‘The Grey Selkie’ with intelligent, original songs like ‘Derby Day’ (which commemorates the death of suffragette Emily Wilding Davison) and ‘The Mississippi Woman’ (a feminist rewrite of the Adam-and- Eve story), which she was commissioned to write by Broadstairs Folk Festival. 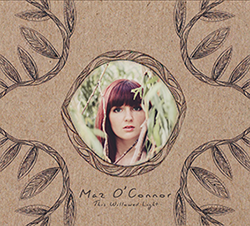 2013 was a busy year for Maz: alongside her BBC fellowship, and singing Laura Marling’s music in the RSC’s ‘As You Like It’, she found time to team up with the highly acclaimed producer and award-winning folk artist Jim Moray to record ‘This Willowed Light’.